Cuban styled shrimp served over white rice. This is a meal my mother used to make for us. However, she didn’t use recipes so here’s one courtesy of Ana Quincoces Rodriquez, Cuban Chicks can Cook. In a large heavy pot heat the oil over medium heat. Add the garlic, onions, and pepper and saute for 5 to 10 minutes. 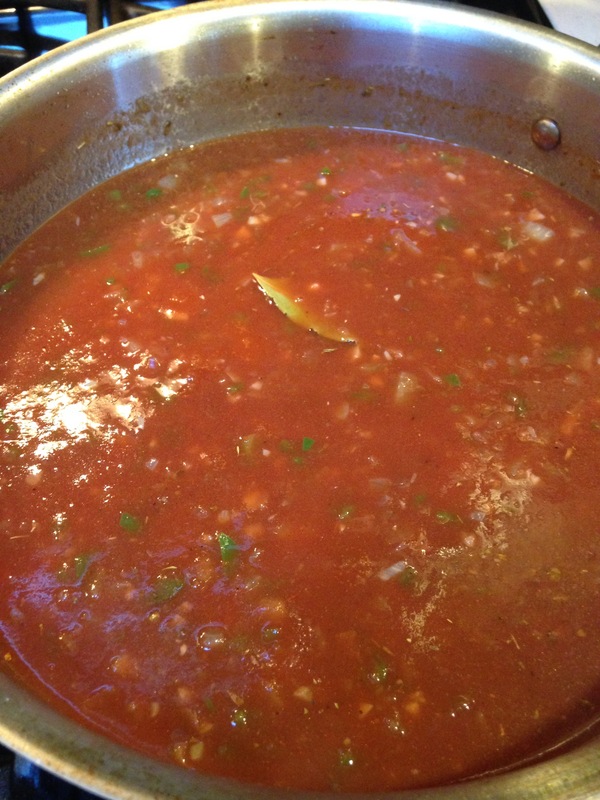 add the tomato sauce, wine, stock, bay leaf, salt and spices and bring to a boil. Cover and reduce heat and simmer over low heat for about 30 to 40 minutes. Adjust the seasoning by adding salt if necessary and bring to a boil again. Add the shrimp while stirring frequently till it turns pink for about 5 to 10 minutes. 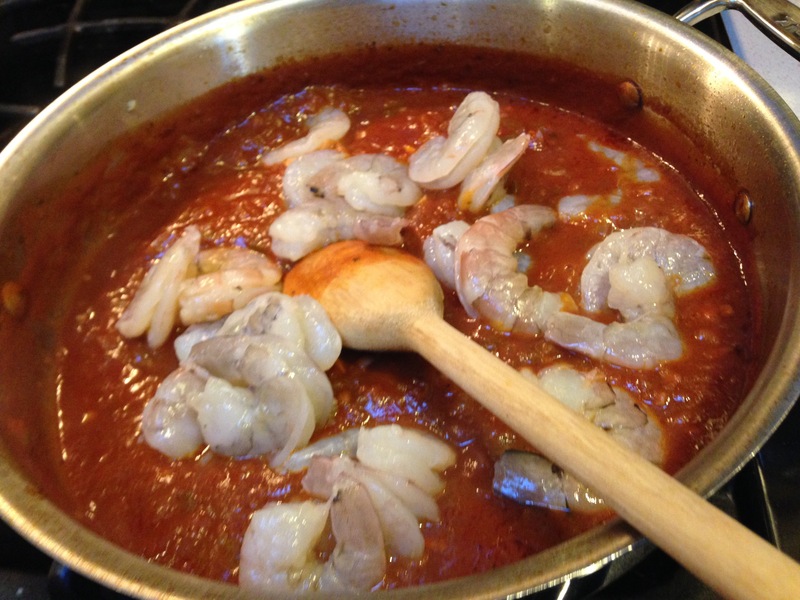 Allow the shrimp to sit for a few minutes to allow the flavor to penetrate fully. This one sounds like a delight. It is! I made it several times and it’s been a big hit. Good to know, I am latino/ Aztec Indian with a Heinz 57 on my mother side being English, Irish​h and Cherrokee, so when I find dishes that I do not have a family record of, I like to try at least once.